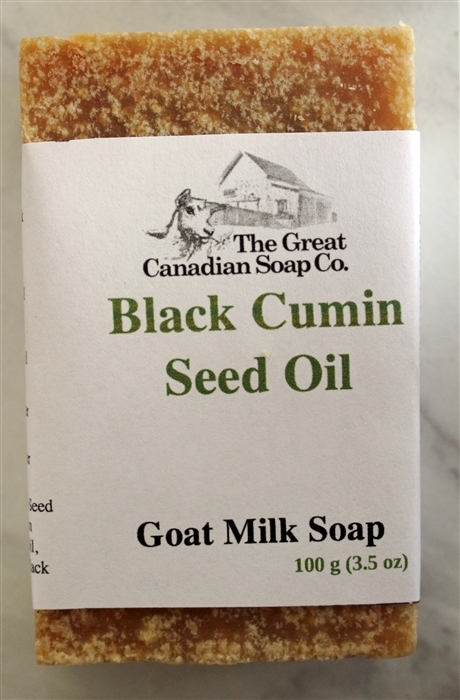 Black cumin seed oil has a pungent scent that occurs naturally. Bars are sealed in containers on display in our store. 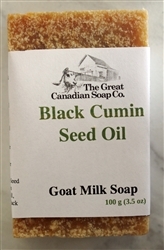 Goat Milk; Saponified Coconut Oil, Olive Oil, Cocoa Butter, Organic Shea Butter, Black Cumin Seed Oil; Cumin Essential Oil, Australian Black Clay. Purchased not thinking it would smell like yesterday's dinner. I don't think I will be using it.